Let's take a break from a formal book review, shall we? I don't know about you, but back in high school, I loved taking those stupid little survey/questionnaires on MySpace. Since those days are long gone, I found this fun little book survey and thought it would be interesting to post! 1. 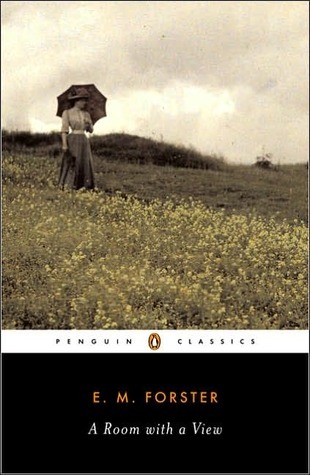 The book I’m currently reading: A Room with a View by EM Forster - I've been reading this book for over three months now and am only on page 112. I would've tossed it long ago, but I'm reading it for my English Lit class...the test is next week, so I'd better hurry. I usually like classics, but this one has not grabbed me AT ALL. Perhaps I'll just watch the movie on Netflix...Helena Bonham Carter is in it! 2. 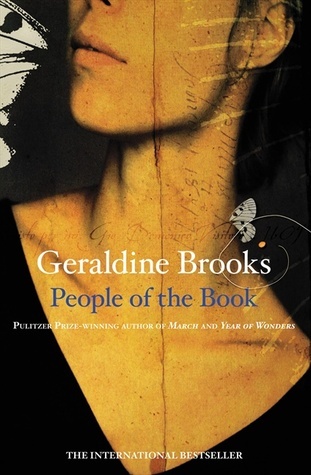 The last book I finished: People of the Book by Geraldine Brooks - This one sat on my shelf for a VERY long time until I finally picked it up a few weeks ago. I needed a nice, short book to read. I really enjoyed this one because even though the majority of the plot took place in the present, there were a lot of flashback scenes from the 1940s, 1890s, 1600s, and 1480s, among others. Being a history lover, this was really a plus! 3. 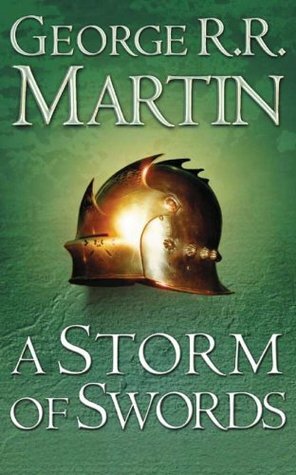 The next book I want to read: A Storm of Swords by George RR Martin - This is the third book in the epic series that the HBO television series Game of Thrones is based upon. It's one of the best series I've ever read in my life and am anxiously awaiting to start it. I've heard some really intense things happen in this one so I'm very nervous! 4. 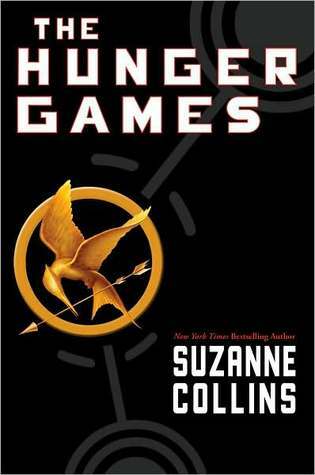 The last book I bought: The Hunger Games by Suzanne Collins - Yeah, I know. It took me a really long time to jump on this bandwagon. I finished it just before the movie trailer came out and am now super excited! I need to pick up the other two as soon as possible. 5. 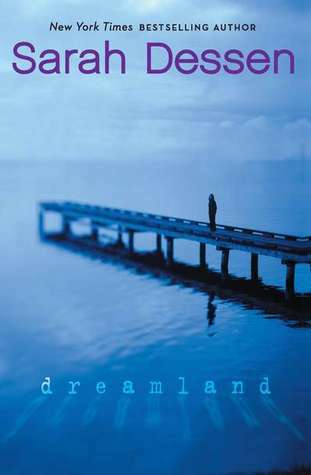 The last book I was given: Dreamland by Sarah Dessen - Even though my family and friends all know I love reading, I don't get books as presents very often. My mom gave me this book as a 'well done' for getting As in all of my classes this past summer. It was a nice gesture for a nice accomplishment, but boy, this book was so depressing. It was good, Sarah Dessen is always good, but quite a bleak topic. So there you go. That was like a flashback to 2006! If you want to join in, leave your own list in a comment or provide a link to your blog! 3. Ummm...I'm not 100% sure. I'm thinking maybe 'The Wild Child' by Mary Jo Putney. 5. 'The Bow of Heaven' by Andrew Levkoff. And yet I think that is Dessen's best work. But I agree with you. I would give you an A+. What a great idea! And perfect for the day I am having. Here is my Bookish Survey. I'm currently reading two books: Legend by Marie Lu and Fate's Edge by Ilona Andrews. Enjoying both. The last book I finished was Tuesdays at the Castle by Jessica Day George. Very enjoyable. I plan to read The Scorpio Races by Maggie Stiefvater. The last book I bought was Legend (see above). The last book I was given was Divergent by Veronica Roth. I devoured that months ago. I used to love those surveys, too! Alloy magazine had a site up that hosted tons and tons of them and I remember learning all about my future and such from those surveys. Haha, how wrong they were! Regardless, this was cool. I answered it as well. Check it out? Ohhh, those books where you're allowed the entire semester to get around to reading them can be dangerous! I chose to participate as well! This is a really cool survey! There was no such thing as MySpace when I was in high school, but this survey was very fun to take. I used to love these things! Couldn't resist it! That's too bad about A Room With a View. I think the characters are hilarious! I haven't gotten on the Hunger Games bandwagon yet either (or the Game of Thrones) but the way everyone talks about these books, I ought to. That was such a fun idea. I had to read A Room with a View for school, too. We did watch a "movie" that was someone reading the book. I preferred reading it myself, because I kept falling asleep in class! Ah I miss High School sometimes. Sometimes. I'm totally stealing this for today's book blog post. Come on by: http://bookishnerd.com/. This was awesome, although I joined a bit late. Here's mine: http://wp.me/p18e69-aG. I am starting The Hunger Games tonight! Top Notch survey, enjoyed it.